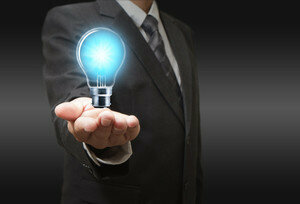 Innovation is the key to the success in today’s business world. Harrington Group International is ready to extend their experience with the companies who wants to get more successful with innovations. How do we improve the financial returns from our current activities? How can our company build and sustain an innovative culture? What does it mean to be an effective innovation leader? How should we be measuring innovation? How can we modernize our business model? Innovation Overview for Executives will get a clear view of the innovation strategy and process from 30,000 feet. At the conclusion of the overview, executives will leave with specific ideas for revenue growth and key tools for leadership to launch a culture of innovation. Innovation Assessor Training provides the necessary tools and techniques for assessing innovation practices in an organization and identifying innovation strengths and opportunities. Increasing the organization’s ability to produce new and original thinking by transforming the culture, leadership, employees, and processes. Identifying and realizing breakthrough innovation through the gathering of relevant information about the customer. Redesigning and optimizing a new product-development process and organization. Developing a future research-and-development strategy and aligning the organization around it.